• TechFab Metal Gabion is manufactured in India as per International standards. • Excellent Quality Product by the specialist. • Wide range of Box sizes to meet the exact requirement. • Early delivery • Economical Design • Procure best raw material in the country. • Use of indigenous material. 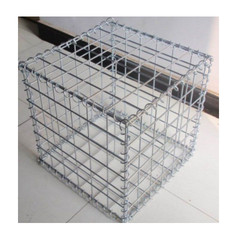 We are manufcaturer of Welded Wire Gabion Box. 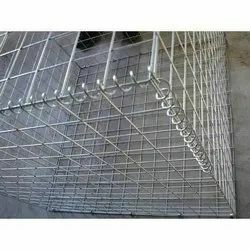 We are one of the most reliable companies in this domain and are into offering Welded Gabion Mesh. Our company holds vast experience in this domain and is involved in offering Check Dam Welded Gabion. In tune with clients' variegated requirements, we bring forth a wide range of Welded Wire Gabion boxes. Increasing popularity of our boxes, in the market remains directly attributable to their compact sizes, corrosion resistance and perfect finish. No similar product available in the market is as durable as offered by us.